The safety of students of Ryan International School, Sector 49, was today “compromised” when the authorities handed over the school buses to conductors having no experience of driving. It all began this afternoon when the school authorities expelled 14 drivers following an internal disagreement. The city police and the Punjab police are at loggerhead over the withdrawal of security personnel working under the jurisdiction of one another. Actors and singers, including Aamir Khan, Akshay Kumar, Kareena Kapoor and Himesh Reshamiya would add glamour during the ICL Twenty20 tournament starting from Tau Devi Lal Cricket Stadium from November 30 here. A senior official of the ICL group said all formalities had been completed to bring the stars during the 17-day-long tournament. The police will send the mortal remains of Seema, who was cremated in a haste by her husband and in-laws after her mysterious death at Maloya yesterday, for a chemical examination. Sources in the police said the chemical examination would help investigating officials in establishing whether the victim was subjected to slow poisoning. The budgetary spending is above the set targets, while revenue collection has increased for the Chandigarh administration for this financial year. A review of the first seven months i.e. up to October 31 shows that the administration has achieved all targets set for the current year in budget estimates. Continuing with its drive to take “e-governance” to the doorstep of the rural folk, the Chandigarh administration opened three more “gram sampark” centres today, taking the number to seven. 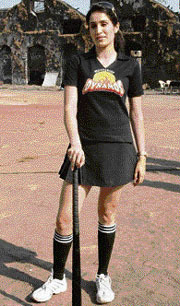 Sagarika Ghatge, who played the role of hockey player from Chandigarh in ‘Chak De India’, will promote local team “Chandigarh Dynamos” during the Premier Hockey League tournament. The league will start at the Sector 42 Hockey Stadium from December 20. The Chandigarh administration, as an emergency measure, has ordered landlords, owners or managers of commercial establishments not to rent out any accommodation to anyone without furnishing the particulars of the tenant to the SHO concerned. A delegation of the Chandigarh Beopar Mandal (CBM), led by its president Charanjiv Singh, today called on minister of state for finance Pawan Bansal in connection with the balanced rent act. More study and frequent exchange of knowledge among pathologists in the field of skin cancer is needed for accurate diagnosis of the disease, said Dr Manoj K. Singh, department of pathology, AIIMS, New Delhi, here today. The police will begin a probe into the death of 19-year-old Akbar who was found dead here in mysterious circumstances on Saturday. The Bhupinder Singh Hooda government had failed on every front, alleged R.K. Gautam, leader of the BJP legislative party and MLA from Narnaund. There seems to be a long wait ahead for majority of the letter of intent holders of Sectors 76 to 80 here. 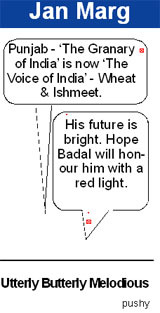 “Media has played a very responsible role in India since Independence. But there is a need for the media to maintain its sense of news without ignoring the human element in every situation,” said Manoranjan Kalia, Punjab minister for local bodies and industries today. The sesquicentennial celebrations of the First Battalion of The Fourth Gorkha Rifles (1/4 GR) began today with the flagging-in of the 4th Gorkha Rifles Car Rally in Chandi Mandir Military Station by Lieut-Gen Y.M. Bammi (retd), a former Commanding Officer of the unit. Commanding officer of 1/4 Gorkha Rifles Col S.K. 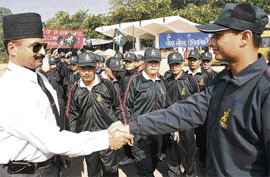 Sharma (left) greets a member of the Fourth Gorkha Rifles Car Rally on its culmination in Chandi Mandir on Monday. Sukhdeep Singh, a resident of Sector 68, died in an accident that took place outside the PUDA building last night. The victim was on his motorcycle when he was hit by a jeep coming from the opposite side. Sukhdeep Singh belonged to Hoshiapur and was staying as a tenant here. Two unidentified motorcyclists snatched a gold chain of a woman in Sector 27 this afternoon. Shushil Gupta of Sector 27 reported to the police that two unidentified youngsters riding a motor cycle snatched her gold chain near her residence at 3 pm. 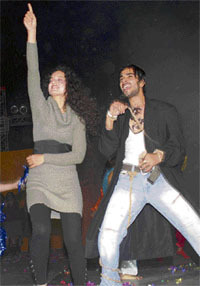 Chaos prevailed outside DAV Model School, Sector 15, here this evening when students and their parents carrying valid passes to the school function, where Bollywood starlet Kangna Ranaut was the chief guest, were denied entry. “Opportunities in the hospitality industry await Indian students,” said Jeanine Picard, director, internal affairs, ESSEC Business School, Paris, during an interaction session held at Alliance De Française, Sector 36, today. Giving a brief introduction about the two-year course in hospitality management, Picard said the course would equip the students for the management of big hotels and related areas. The public administration department of Panjab University, in association with the regional branch of IIPA, held a special lecture titled ‘My Experiments in Earth and Environment Outreach: A Geoethical Obligation of Geosciences for Society’ today. DAV Senior Secondary School, Amritsar (Hathigate), won the over-all trophy while DAV Senior Secondary School, Sector 8, Chandigarh, won the runner-up trophy in the 38th All-India Inter-state Inter-school Cultural Competition held at DAV Senior Secondary School, Sector 8, Chandigarh, here today. Shivalik Public School, Mohali, presented a colourful extravaganza on the occasion of its prize distribution day. The chief guest Justice K.S.Garewal lit the ‘lamp of knowledge’ to inaugurate the function. The school co-ordinator Malvinder Kaur read the annual report. Students and faculty members of the Guru Gobind Singh College for Women, Sector 26, observed the ‘World AIDS Day’ today. Various activities were organised in the college by the NSS volunteers and the Red Ribbon Club, “EHSAAS”. A blood donation camp was held in which as many as 100 persons donated blood. The hostellers took out a candle march and pledged to never experiment with drugs and spread awareness about AIDS and the harmful effects of drugs. Central Queensland University (CQU), Australia, has decided to provide the toppers pursuing undergraduate courses on the university’s Sydney campus with an opportunity to apply for the vice-chancellor scholarship. This was announced by Ken Bruce, senior faculty member, CQU, who was in town today. “This scholarship programme is in line with our commitment to the Indian students,” he said. The District Consumer Disputes Redressal Forum-II has directed GE Money, a finance company, to pay Rs 13,000 in compensation for wrongly taking Rs 3,000 as cheque bouncing charges from the complainant. “Of all Indian performing arts, classical dances, especially Kathak, are endowed with more spontaneous and charismatic appeal to the foreign art lovers,” claims Singapore-based kathak dance guru Charan Girdhar Chand. 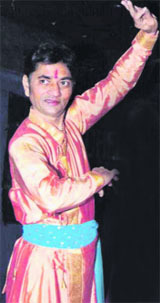 Supporting his contention, Chand disclosed that the north Indian dance form, in fact, is a hybrid offspring of vastly different Hindu and Moghul cultures which flourished under the royal patronage earlier. Because of the simplicity of its code and conduct, kathak has an international acceptance today and a wider following too, he adds. In the city on invitation of the Pracheen Kala Kendra for a performance, he shared his views with The Tribune on the contemporary Indian classical dance scene abroad. GGD SD College, Sector 32, Chandigarh, won the Panjab University Inter-College Chess (women) Championship for the year 2007-08. The championship was held at PU premises, here today. The GGD SD College team comprising Madhuri Sood, Jaya Bhatia, Jasdeep Kaur and Pooja Rani gathered 15.5 points to get the first place. DAV-8 beat DAV-15 by 67 runs in the Under-16 Inter-School Cricket Tournament at GMSSS-32 grounds here today. The Chandigarh administration today appointed S.K. Jaitely as officiating chief engineer of the city. He is the senior-most superintending engineer in the administration.